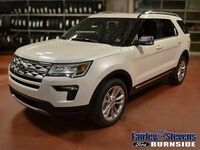 The 2019 Ford Explorer has, for almost three decades, offered an exceptional mix of confidence, capability, and adaptability for you to enjoy! With your choice of trims and excellent engines, the new Ford Explorer offers the ability to customize your driving experience to suit your needs! However, the SUV market is not without its competition! There are a ton of excellent competitors on the market for you to enjoy, and it can be hard to find the best deal. The 2019 Volkswagen Atlas is one such competitor! Thankfully, when it comes to finding the best deal possible, we at Fairley & Stevens Ford are here to help! We know how to compare vehicles and their features in order to find the best deal for you! Continue reading to learn more! 21 Cubic Ft. Cargo Capacity w/Third-Row Seats 20.6 Cubic Ft.
As you can see, the 2019 Ford Explorer and the 2019 Volkswagen Atlas are both great vehicles, perfect for any family driver! 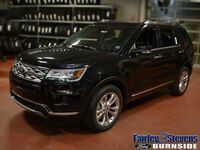 They both offer exceptional engine power, though the 2019 Ford Explorer takes the lead in terms of maximum horsepower, as well as great cargo capacity, even with third-row seating. They both offer seating for up to seven, as well. 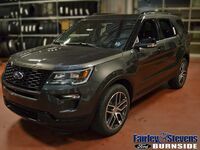 However, between these two vehicles, the 2019 Ford Explorer offers slightly greater cargo capacity with the third row. It also offers an available five-year, 60,000-mile roadside assistance, which the new 2019 Volkswagen Atlas does not feature, or have available. 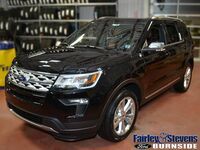 So, if you’re looking for a vehicle that offers a ton of potential for you to enjoy, look no further than the 2019 Ford Explorer! Contact us at Fairley & Stevens Ford today to learn more about what this great SUV has to offer!